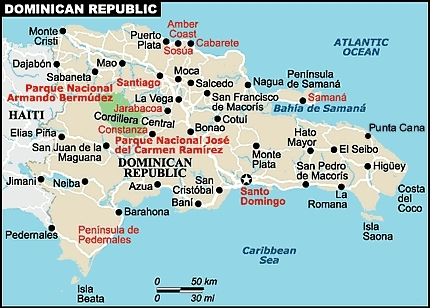 The Dominican Republic is a representative democracy, with national powers divided among independent executive, legislative, and judicial branches. The President of the Dominican Republic appoints the Cabinet, executes laws passed by the Congress, and is commander in chief of the armed forces. The president and vice president run for office on the same ticket and are elected by direct vote for 4–year terms. Legislative power is exercised by a bicameral Congress composed of the Senate (with 32 members) and the Chamber of Deputies (with 178 members). The Dominican Republic has a multi–party political system with national elections every 2 years (alternating between presidential elections and congressional/municipal elections). Presidential elections are held in years evenly divisible by four. Congressional and municipal elections are held in even numbered years not divisible by four. International observers have found that presidential and congressional elections since 1996 have been generally free and fair. Elections are supervised by a Central Elections Board (JCE) of 9 members chosen for a four–year term by each newly elected Senate. JCE decisions on electoral matters are final. Under the constitutional reforms negotiated after the 1994 elections, the 16–member Supreme Court of Justice is appointed by a National Judicial Council, which comprises the President, the leaders of both houses of Congress, the President of the Supreme Court, and an opposition or non–governing–party member. One other Supreme Court Justice acts as secretary of the Council, a non–voting position. The Supreme Court has sole authority over management of the court system and alone hears actions against the president, designated members of his Cabinet, and members of Congress when the legislature is in session. The Supreme Court hears appeals from lower courts and chooses members of lower courts. The president appoints the governors of the thirty-one provinces. Mayors and municipal councils administer the 124 municipal districts and the National District (Santo Domingo). They are elected at the same time as congressional representatives. The country becomes highly politicized during election campaigns, as millions of dollars are spent in propaganda. The political system is characterized by clientelism, which has corrupted it throughout the years. There are many political parties and interest groups and, new on the scene, civil organizations. The three major parties are the conservative Social Christian Reformist Party (Spanish: Partido Reformista Social Cristiano [PRSC]), in power 1966–78 and 1986–96; the social democratic Dominican Revolutionary Party (Spanish: Partido Revolucionario Dominicano [PRD]), in power in 1963, 1978–86, and 2000–04); and the increasingly conservative Dominican Liberation Party (Spanish: Partido de la Liberación Dominicana [PLD]), in power 1996–2000 and since 2004. The presidential elections of 2008 were held on May 16, 2008, with incumbent Leonel Fernandez winning with 53% of the vote. He defeated Miguel Vargas Maldonado, of the PRD, who achieved a 40.48% share of the vote. Amable Aristy, of the PRSC, achieved 4.59% of the vote. Other minority candidates, which includes former Attorney General Guillermo Moreno from the Movement for Independence, Unity and Change (Movimiento Independencia, Unidad y Cambio [MIUCA]) and PRSC former presidential candidate and defector Eduardo Estrella obtained less than 1% of the vote. The provinces are divided into municipalities (municipios; singular municipio). They are the second–level political and administrative subdivisions of the country.